Most people can never forget their first bike experience. Pedaling and riding a bike gives us a liberating and carefree feeling, it is our first taste of independence as kids. Of course, as parents, we want to share that moment with them, and the most crucial decision we have to make is choosing the right bike and when to let go of it. Bikes have been around more than two centuries! Clearly, there are thousands of bikes that are available for us in the market, and a day would probably be not enough to check each one out. So save yourself from a headache and let us do that assignment for you. A kid’s first bike is a pretty BIG DEAL. That’s why, when choosing a first, second or third kids bike, it’s important to find one that is COOL, yet safe and durable (you don’t want to buy one every year). We pedaled and pedaled until we couldn’t pedal anymore to find the very best the bike scene has to offer. 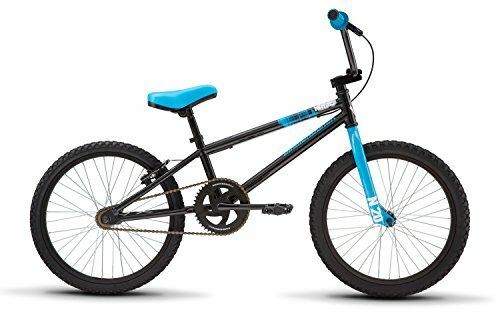 In this guide we will review the top 10 kids bike for 2019, we base our reviews on features, quality and value or bang for the buck. At the Conclusion of the guide, we will announce our top picks! With Christmas just around the corner, here are the top 10 best bikes your kids will definitely want to receive whether they were naughty or nice. Want your kids to master their biking skills faster? Then, consider buying them the RoyalBaby BMX Freestyle. It is so child-friendly that it comes with extra components that will help them learn how to properly ride a bike. Fun, comfort and easy are the three best words we can use for this baby. But its safety is unquestionable too. 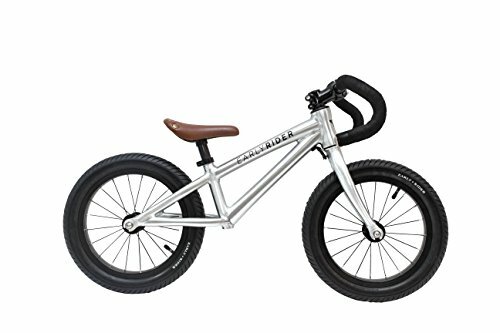 Built with a sturdy frame, the RoyalBaby BMX Freestyle will surely give your kids a stable and well-supported ride. It comes with heavy duty pneumatic rubber tires with steel inside the wheel. As for the brakes, don’t worry folks, it boasts of a very responsive front hand brake that only needs a little pressure to engage regardless of speed. Extra features? Sure thing! 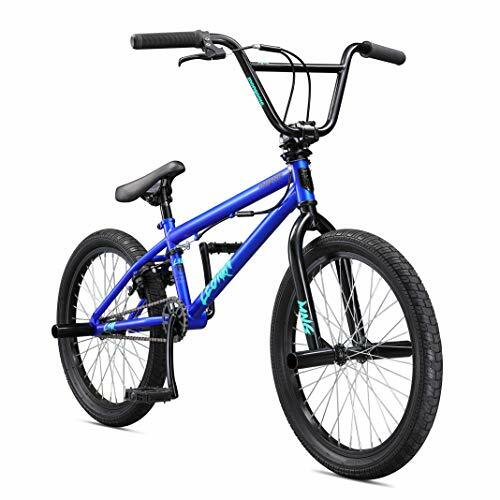 The BMX bike has a rear-mounted water bottle and a handlebar-mounted bell. 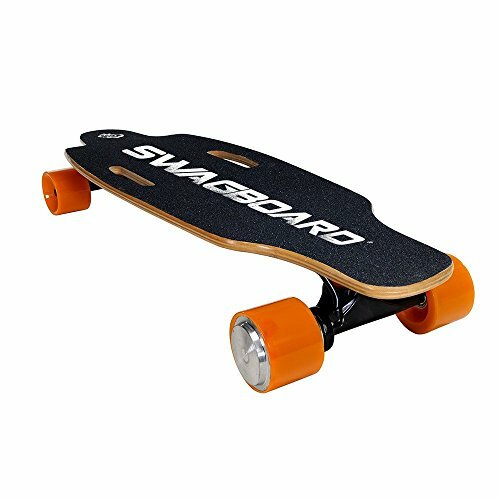 And for night rides, it comes with numerous reflectors. For kids who are always up for an adventure and rough play, then the Stampede Sprinter should be the name of their game. Built and designed as a mini mountain bike for young cyclists, its quality is undoubtedly top-notch. 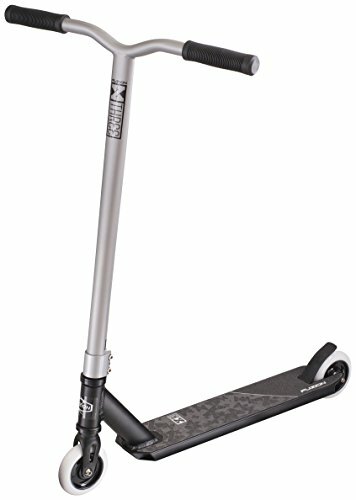 In fact, the Sprinter Stampede, which boasts of an aircraft grade metal, is a workhorse for all-terrain and paved riding. Since it is designed for the thrill-seekers, its safety features should be crucially taken into consideration. And thankfully, this bike delivers. It has an easy to use and squeeze front and back brakes that ensure the bike will safely slow down. Also, the chain area is safe from rocks and debris. 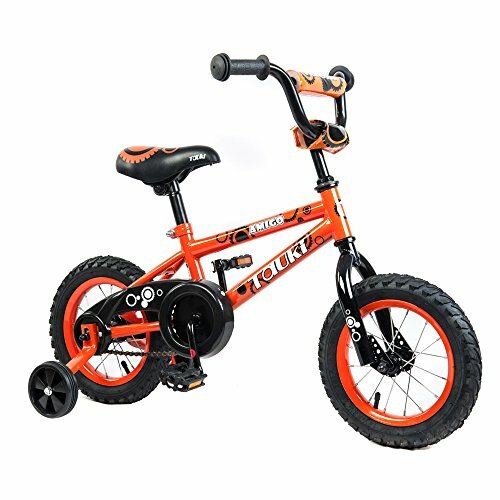 If you wish to take your kid’s biking skill to the next level, then the Priority Start might be the perfect in-between shifting solution. It features three gear options minus the conventional bulky derailleur. It is as simple as 1 for downhill or extra speed, 2 for regular driving, and 3 for hills and simple cruising. Did we mention that this lightweight bike comes with a grease-free belt drive? Aside from its clean to touch and aesthetic to look at, a belt drive prevents kids from falling off caused by mid-ride chain issues. It also features responsive v-pull front and rear brakes and no coaster brakes. 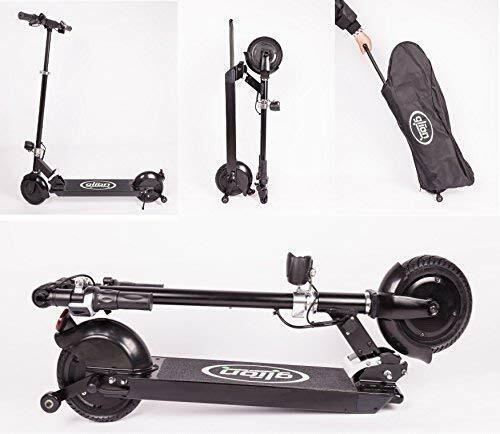 Dubbed as the “safest kids’ bike in the world” by YouTuber EvanTubeHD, the Guardian bike boasts of an award-winning Surestop Brake System that connects the front and rear brake into a single hand lever. Just apply a suitable pressure and the bike will smoothly slow down and stop. The Guardian comes in three versions – a 20” single-speed, a 20” six-speed, and a 24” seven-speed. The last one is best for teenage kids who have already mastered the basics of cycling. Obviously, though, Guardian’s pièce de resistance comes with a price. But if you weight it with what it can offer, we think it is pretty worth it. A combination of premium quality and safety, the Tauki BMX is another best option in the market. This is a saver for most parents who do not have the luxury of time to assemble a bike. Yes, the package comes in 95% assembled. Ideal for kids between 4 and 8 years old, its adjustable seat and handlebar design guarantees parents that it is a good investment. It also has a solid and resilient build that will ensure this bike will work through the test of time. It boasts of pneumatic-patterned rubber tires with extra grip for the dirt tracks. There’s also a portable pump included in case of emergency. 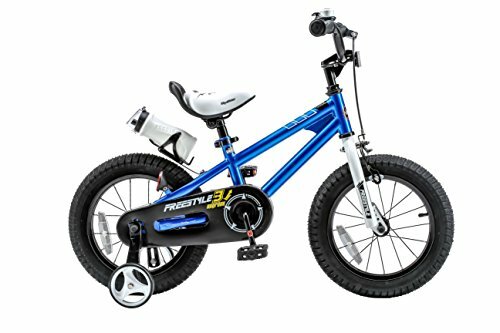 This bike is another good pick for parents who want their child to master biking. For a reasonable price, your child can experience a smooth and safe ride around the neighborhood or park. 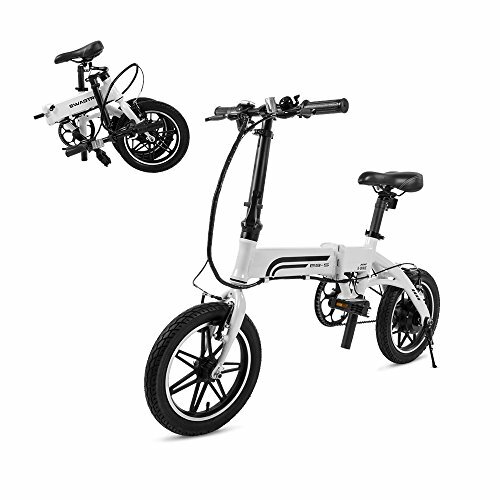 The Magna features training wheels, pedals, grips, and adjustable seat for optimum comfort. To live up to its name, the Magna is designed with vibrant colors and nice logos. Its bright yellow and black combination will surely capture everyone’s attention. Designed with the young cyclists in mind, the X-Games FS20 is probably the best bike for freestyle that you should buy in 2019. It has all the basic features you look for in a bike. The difference? Everything is much robust and durable in this bike. 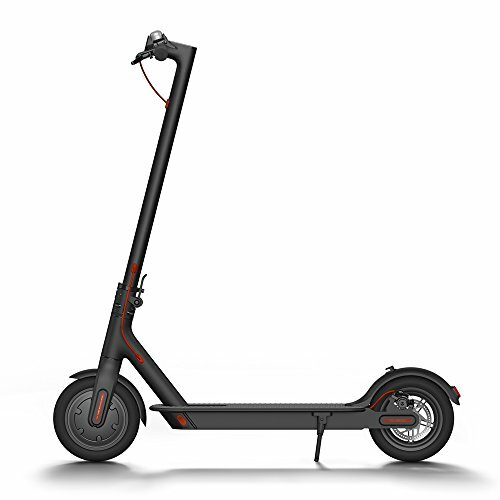 The bike features a gyro brake system with easy to use brake cables. To ensure safety, the X-Games boasts of two brake systems. The rear wheel is equipped with a gyro V-brake system, while the front with a caliper brake system. For the adventurous young spirits, it is integrated with four pegs that allow your kids to carry out different tricks. They can play around while maintaining safety, thanks to its highly durable 20” Hi-Ten steel frame. In addition, the bike has four bolt alloy stem and X-games handlebar. The unique, vintage-ish appearance of the Mongoose Legion is a head turner. It is currently one of the finest bikes available in the market, thanks to its excellent quality and outstanding performance. 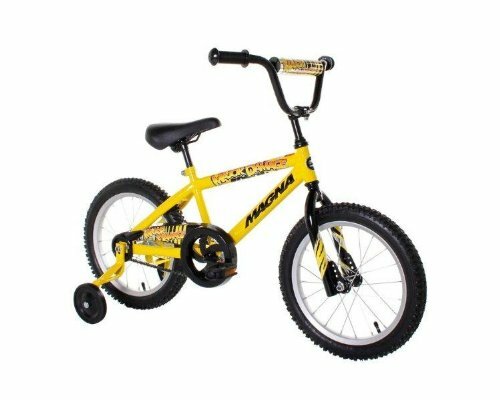 It is equipped with all the essentials of a BMX bike, so your kids will surely enjoy every ride. This lightweight bike comes with a padded seat and handlebar to ensure all-terrain ride comfort. It is equipped with a long top tube, a four-bolt rear alloy and U-brakes, and an alloy brake for a sudden stop. 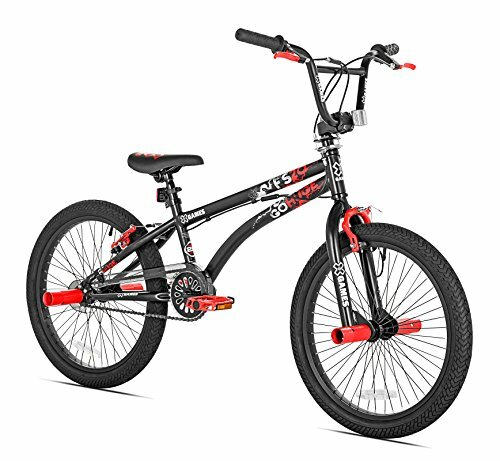 Equipped with a steel BMX frame and a four-bolt stem, the Razor 62042 is another go-to bike for parents looking for a durable option for their kids. It is loaded with high-end features but with a more welcoming price. 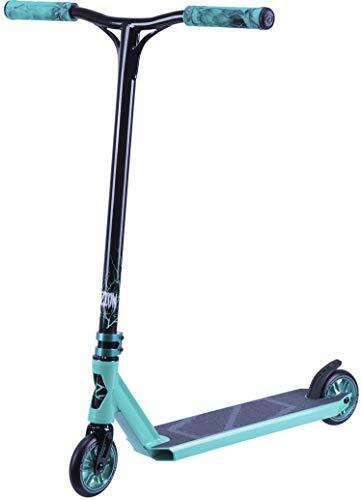 The High Roller boasts of a durable steel frame and fork, cross spoked rear wheels, and radial laced rolls on front wheels. It also comes with a set of axle pegs and a quick-release seat post clamp. Furthermore, this thing will surely last a long time without any rust or damage. The style of this bike is no other as it comes with an exclusively designed lower inclined body frame that is made from heavy-duty steel. Integrated with a steel fork, the Diamondback will surely give you an excellent performance through and through. The bike comes with a padded seat to ensure comfort and a lower level frame for stability. 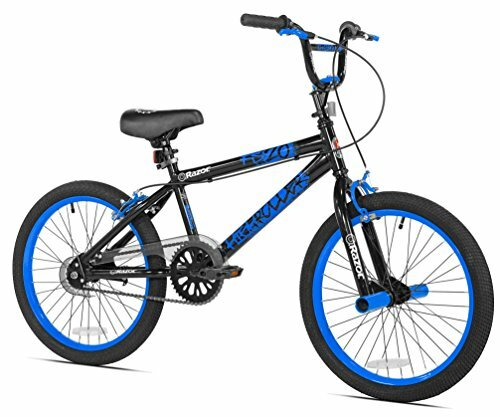 Safety-wise, this bike is equipped with high-standard coast brakes and sturdy wheels that require less maintenance. The tires contribute to the bike’s overall durable structure. What are the Factors you need to Consider when Buying a Bike? Size – You won’t realize how crucial the size of the bike is until your child actually start using it. For instance, a bike that is too big will give the rider a hard time to reach or to actually pedal. To find the correct size, consider comparing the seat height with that of the rider. Brakes – While it is fun to watch your kids ride a bike, parents can’t simply brush off their worries aside. That being said, brakes are a very crucial factor to consider. For everyday use, a simple brake system would suffice. But for those who are into races, stunts, and tricks, consider getting something with an advanced braking system. BMX bikes, for example, are integrated with either a gyro brake system or a coaster brake. Material – What your kid’s bike is made of can give you a hint of how long it would probably last. Each material actually has its own strengths and weaknesses. Say for example, while steel is known to be durable and comfortable, it can be pretty heavy for kids and it rusts. Meanwhile, aluminum is the lightest and stiffest on the market, but the knock is on its comfort. Tire size – Obviously, without tires, your kid’s bike cannot serve its purpose. There are different tire sizes and make sure you find the accurate one. There are 12”, 16”, 20”, and 24”. Balance bikes usually have 12” and 14” tire size. If your kids are prepared to transition to a pedal bike, then a bigger tire size is recommended. Path – Not all bikes are made for all types of surfaces. That being said, your decision should also consider the route your kid will ride the bicycle through. There are bikes suitable for cruising alone, while others are designed for different terrains and meant for doing stunts and tricks. 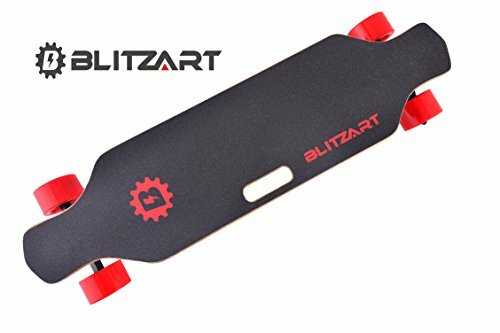 What Accessories Should a Bike have? The best bike to buy for your kid should have the potential to come with several accessories. Some bikes have training wheels, water bottle holders, basket, bells, and kickstands. While they are not really necessities for the bike’s functionality, they can still create an impact on your child’s development. For example, your kid can use the bell to warn or horn people that she is going to pass through. It may sound like a child’s play to adults, but it is actually a good practice for the kids. What Age do Kids learn to Ride a Bike? A kid’s ability to ride a bike actually depends on their own physical readiness. However, according to the US Consumer Product Safety Commission, most children start at the age of 5 years. At this age, kids already have a sense of balance and coordination to ride a bike without training wheels. However, since they are still unable to understand the danger and injuries accompanied by it, they are at high risk for falls. Since this can’t be avoided, adult supervision is recommended. With our list above, you should be able to narrow down your choices and buy the perfect bike for your youngster. If you have the time, try to cycle together and have fun together. Also, encourage them to gradually go out of their comfort zone but allow them to learn at their own pace. A kid’s first bike is a pretty BIG DEAL. That’s why, when choosing a first, second or third kids bike, it’s important to find one that is COOL, yet safe and durable (you don’t want to buy one every year). We pedaled and pedaled until we couldn’t pedal anymore to find the very best the bike scene has to offer. In this guide we will review the top 10 kids bike for 2019, we base our reviews on features, quality and value or bang for the buck. At the end of the guide, we will announce our top picks!